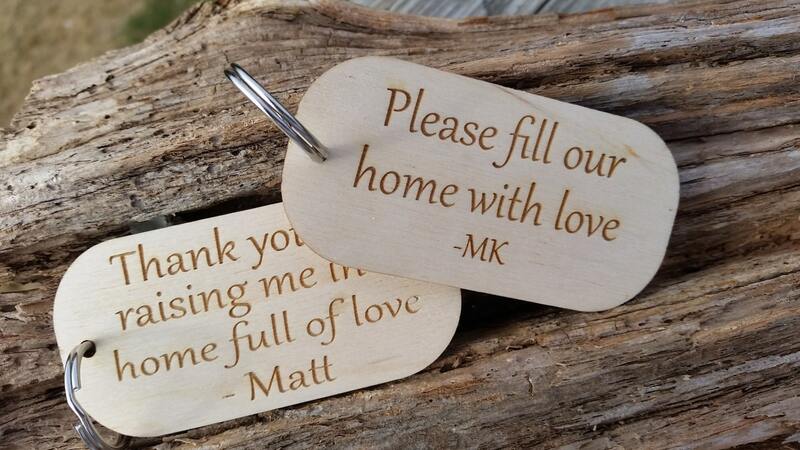 Looking for a beautiful gift for your parents on your wedding day or the holidays? 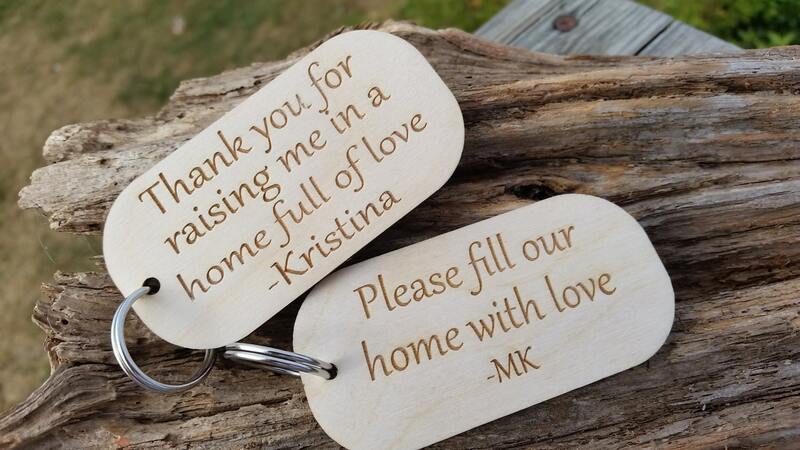 These beautiful wooden key rings can customized as per your request. Each tag come with a key ring. QTY: 1 Key Ring .